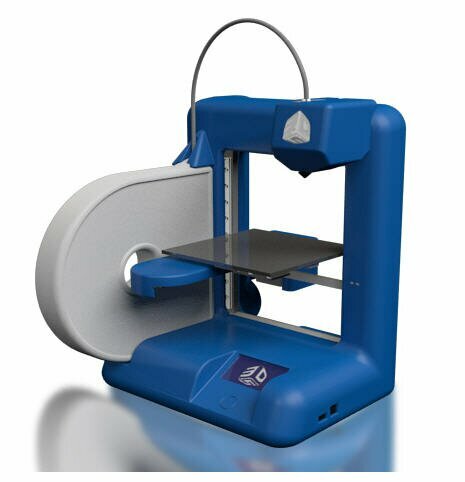 We knew that the new 3D Systems home 3D printer, Cube, is a major step forward in putting 3D printers into the average person’s home. And last night the TechAmerica Foundation announced that they agree. Meeting in the Ronald Reagan Building in Washington DC, the foundation hosted its Tenth Annual Technology and Government Dinner, where they gave 3D Systems’ Cube, their first 3D printer for the home, the American Technology Award (ATA) for outstanding achievement in Technology Manufacturing. “The quality of nominees for this year’s Termans is a clear indication of the vibrancy of the American technology industry and we are thrilled to be able to recognize 3D Systems for their contribution to the industry and their outstanding achievement. The award ceremony featured keynote addresses from Juniper Networks’ CEO Kevin Johnson, who received the American Technology Award’s Corporate Leadership Award and Richard Spires, the CIO at the Department of Homeland Security and the Government Technology Executive of the Year recipient. The government’s Executive of the Year award goes to a Homeland Security employee? I sure hope it wasn’t for their excellent work at the TSA. Congratulations to 3D Systems, and I hope we see lots of Cubes under the Christmas tree this year.